CN Blue, Korea’s band who ever trained in Japan, and now hold world tour and also become very famous not only in Japan and Korea but also in Asia. Before their first documentary movie to be launched and draw near their frankness face, 4 members shared their hardships and gushing hotly now. This is your first documentary movie, do you feel some pressure? [JH] At the first I felt some pressures. Because this is documentary movie, we thought it’s too fast, isn’t it? We even ever said “it will be better after this”, but because of its title is “NEVER STOP”, we think to make a film of that picture hereafter. [JS] Recording of this movie has been done for now, but since this is documentary movie; I think it should shows our (almost) real appearance. Such as our situation in the back stage or the discussion after live performance, I think it is our very first time to appear that way to all of our fans. If you watch this movie, you will be able to know us very well. [MH] In spite of me, at the beginning I felt a little pressure too. But when watching the whole clips, there nothing to be worried about. I think it is a good movie and I could enjoy watching it. [YH] I thought at the first watching our plain (without make up) appearance, and the truth when we hit each other of our opinion, what if there are people who get confused? But, I rethink again, that shown such ‘naked’ appearance is good enough. Why I said like this, our life and way to think, because I think there is no opportunity to show (that ‘naked’ side) except we did interview like this. I think director has been edited your story out. Is there any surprising part or another unexpected one when you watched the completed clip by your selves? [MH] I thought another unexpected one is a movie which pulls out a plenty of unknown and did not show things of CNBLUE before, and we thank fully to the director. It reflected after live performance, we discussed about part there was regret, and also when we become nervous when rehearsal. We felt worry, but I think is good we could show that circumstances. The most very impressive part among the movies is when you discussed thoroughly with all of member after your performance in the Summer Sonic..
[JH] Because it was live performance, it is better when there is a problem in many cases than no problem at all. Therefore, the growing on our live performance is extending our ability to cope when there was something, doesn’t it? And then, by doing like in Summer Sonic, do you think that it is enough for growing your band in the top? [JH] Well, our discussion like in Summer Sonic, we do after live performance every where. When we did good live performance we will be happy, but when live performance left regret, the discussion must be longer. But whenever it does, it will take about 1 hour, sometimes only 30 minutes. But it depends on the situation. In the end, somebody will change the nature and the feeling. [MH] When we got a trouble in our live performance, we poured everything in our mind together, and then we will try our best on the next live performance, hope (to make up) for it. At that time we will tell everything we want to tell, after that us always being back as fellow close friend member, and then get meals, dabble out together. [JH] Because we are together for a long time, it has already being familiar. So, I don’t think to be alone. [MH] I also feel it will be greater if we are together then thinking to be alone. [JS] If being alone, maybe will be better if stay in our room. Since we got to know in along time, and know that being together is great. Therefore, being together and living hardly, it is not at all. [YH]If you want to live alone, I think you can do it. Beside you will get some inconvenience, does spend the time together is better? The bitter memory of your training in Japan..!? And then, YongHwa’s bed that shown in the movie was very big, did you choose them by yourself? [JS] The person who used to live there put them. Because it was rental, actually we use the provided one. The movie is containing of your enjoyable day-to-day scene, but do all of you usually cook? [JS] If I find ingredients, I will make a soup and eat it. [MH] I do it rarely. [YH] In this member there is nobody who preferences in cooking, isn’t it? What foods do make you happy? [YH] Absolutely whatever my mom’s cook. [YH, MH, JS] Tenjanchige (Doenjang Jjigae = Korean Soybean Paste)!!! [JH] At home, my mom is good in cooking. Therefore, she often cooks Ika Jjigae, Shikka for me. [YH] But, whatever mom cooks is delicious. Even Ramen instant is delicious too. What memory do you have when you did your training life in Japan? [JS] I looked forward to go and buy Gyuudon. [MH] Lying on the bunk bed was fun. Since there I wanted to sleep in the upper bunk. [JH] But for me, sleep on upper bunk bed is hard enough. When I got up, I will hit my head (with the ceiling). [JS] I knocked my head that much. [MH] I got in the bottom. 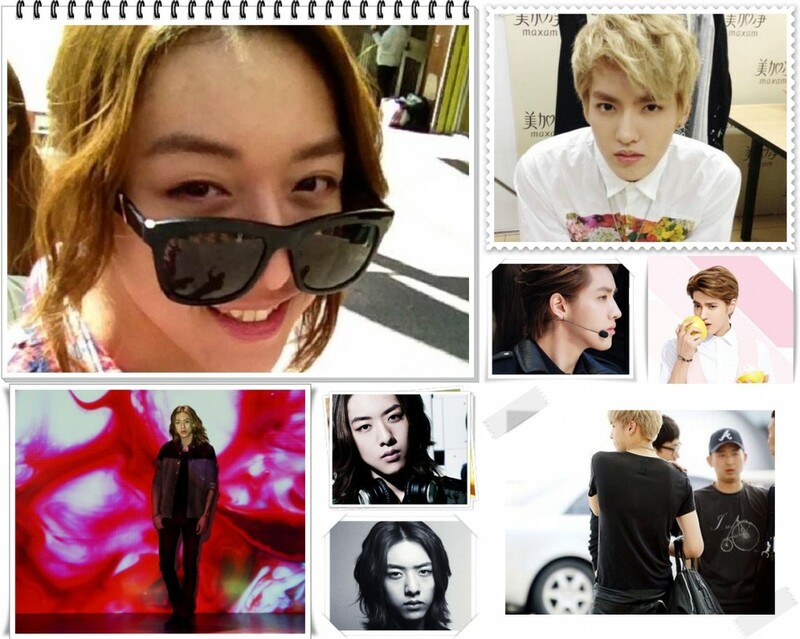 JungShin-kun in the upper one. [YH] I got in the bottom too. Another one, do you have a memorial place in Japan? [JH] In the downstairs of our training dorm, there was a Café, it is delicious. But, because its price is high, I could not go (to buy meal). [JS] Because in front of the training dorm is always under the construction, I wonder think when it will finish, when after debut I go there again and it was still in under construction. Therefore, I want to see the finished place (Laughing). This movie’s sub title is “NEVER STOP”, but you will not stop from now, and then what are your great efforts you want to do? [JS] We do not think that we have left such a footprint, but CNBLUE was started in Korea, that case was great too. So, we think that much sense of responsibility also was born, and our opportunities become role model has come some more. If we looked back, we tried our best and started from now on we have to try our best too. [JH] I believe CNBLUE will go on till forever. Because of that we try our best. [YH] I think CNBLUE has left for footprint. And then from now I want us to continue for leaving our footprint (in the future). [MH] I believe we all try our best for leaving our big footprint. We will launch our album in Korea in 2014; we’ll wrap up the tour too. But, I want to do the tour in the country where we never done before and I want more people in Japan who listen our songs. First of all, Duckie Jungshin!!! The photo taken while he was took selca, ahhh I wonder when he will share the selca on CNBLUE’s twitter. Secondly, Sleeveless Burning, kkk Untill now I still wondering how come a guy has a fair skin like him! And he was not care if his tank-top may kill thousand Burning Soul in the whole world, LOL. Anyway in this photo, his expression is far beyond Burning, but more innocent, how do you think? And this? No need to asked, but the Killer Stare is just beyond a word! And I have no word to describe him. Lee Jung Shin went back into the past to transform into a Koguryo warrior. New stills of the singer-turned-actor were released before the premiere of the KBS drama Blade and Petal, set to start airing on July 3. Lee Jung Shin will appear as a warrior named Si Woo in King Yeongryu (Kim Yeong Cheol)′s secret warrior team Geum Hwa Dan. In the stills, Lee Jung Shin poses in battle mode, with his long hair covering his face to give him a rough look. His charismatic eyes show he′s all set to become the warrior he needs to be. Si Woo is an orphan who used to wander the streets, but is picked up by So Sa Beon (Kim Sang Ho), the leader of the Geum Hwa Dan. He rarely despairs, and is a bold character who boasts great martial skills and an eye for art. He comes to have a crush on Kin Yeongryu′s daughter Moo Young (Kim Ok Bin). Lee Jung Shin previously proved his skills in acting with a role in KBS2′s My Daughter Seo Young. In the drama he appeared as a mischievous little brother, but this time he aims to turn his image around. Blade and Petal is a Romeo-and-Juliet-type romance set in Koguryo. ‘칼과꽃’ 여자주인공 무영 역. 옥빈 공주. 실물이 정말 인형처럼 예쁘더군요. 이정신군이 이 여인을 짝사랑 한다죠? ㅎㅎ 7월3일 첫방송! Leading role Mooyoung of ‘Blade and Petal’, princess Okbin. She is pretty like a doll. Lee Jungshin’s one sided love. The Official English Title is “Blade and Petal” whilst the first episode will broadcast on July 3rd!!! Though I’m a bit upset with the story but still I’ll be on the line to support him kkk. Actually I’d love to see Jungshin has a cute love line rather than one-sided love, it remind me with Shinwoo (Yonghwa) and Collin (Jonghyun) most of all I can’t stand to see his sad expression. watching him cried on My Daughter Seoyoung is enough for me. But I think I’ll be watch something like that again in the near time 😦 is very unpleasant thing.